Following are some common PHP configuration changes that you might need for a server running PHP, including how to change session parameters and disable functions and classes. When you use sessions for your application, the data is typically stored in files on the server (though this too can be configured in the php.ini). Sessions are affected by a garbage collection process that cleans up any dead sessions, such as those that haven’t been used for a certain number of minutes. By default, the garbage collection process looks at sessions with a lifetime of 1,440 seconds. This means that the user needs to be idle for 1,440 seconds, and on the next attempt, his session may or may not be expired. A common change is to that garbage collection process, typically to lengthen it. This change is typically implemented in the server-wide configuration but may apply at the site level too. Each function expects a comma-separated list of functions or classes to be disabled. For example, you might want to disable the exec() function. The following listing shows a simple PHP page to test this functionality. Once Apache is restarted, the change will take effect. Reloading the page now results in the warning shown. 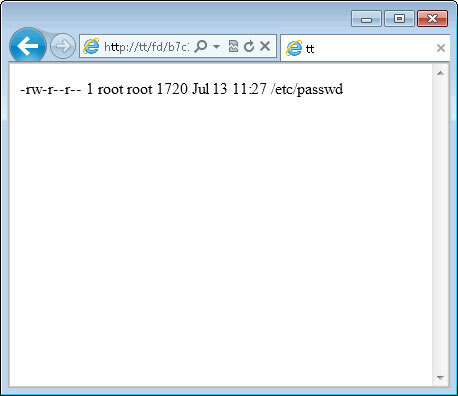 If you’re using a hosting provider, the exec() function may already be disabled. 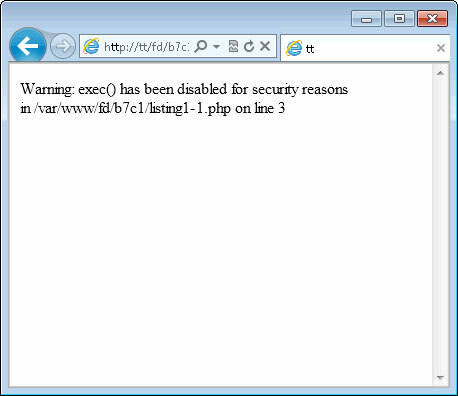 Also, you may not see the warning if your PHP configuration doesn’t display errors. A related directive is the error_reporting directive. This complex directive informs PHP what to display for errors. You can configure PHP to report only errors that are fatal or you can display more minor errors like notices. The error_reporting directive is somewhat complex. See PHP.net for more information if you need to change this directive. There are times when you need to change the maximum file size allowed, for when the file is received through a form POST or uploaded directly or received in another way altogether. The upload_max_filesize directive sets the maximum file size that can be uploaded, while the post_max_size directive sets the maximum size of a form POST. If you allow forms to upload files, chances are you need to change both directives. Additionally, you may find that you need to change the memory limits imposed on a given PHP script or the execution time that a script runs. For example, if a user is uploading a large file, it may take several minutes. The memory_limit directive sets the amount of memory that can be used by a PHP program, and the max_execution_time directive sets how long a program can run. You can change the maximum time for a script by changing the max_execution_time in the php.ini or by using the set_time_limit() function within an individual script. The set_time_limit() function is a common way to solve the problem of a long-running script while preserving the server-wide max_execution_time directive’s value.